SUP racks have become one of the fastest growing rack categories. Thule Stand-up Paddle Board Racks and Carriers, Yakima Stand-up Paddle Board Racks and Carriers, Malone Stand-up Paddle Board Racks and SportRack Stand-up Paddleboard Racks are on sale, in stock and available for immediate shipping from RackWarehouse.com. Thule SUP Taxi, SUPDawg SUP Rack, SUPPup SUP Carrier, Malone Maui 2 and SportRack Mooring are 5 of the more popular stand up paddle board rack attachments. If your budget is a little tight, rack pads and tie down straps are a proven, sturdy option. Yakima and Thule offer an assortment of rack pads that fit round bars, square bars and factory rack crossbars. If you have difficulty loading your gear on a roof rack, you should consider a Sport Trailer. Malone SUP Racks and Stand Up Paddleboard Carriers are in stock at RackWarehouse.com. Popular Malone Products like Saddle Up Pro, Maui 2 and Deluxe Sup Carrier are available for immediate FREE shipping. These protective, tough carriers fit Malone Roof Racks, Inno Roof Racks, Thule Roof Racks, Yakima Roof Racks, Whispbar Roof Racks, Rhino-Rack Roof Racks and most factory roof racks. Can't find what you are looking for? Try our complete list of Malone Water Sport Carriers. 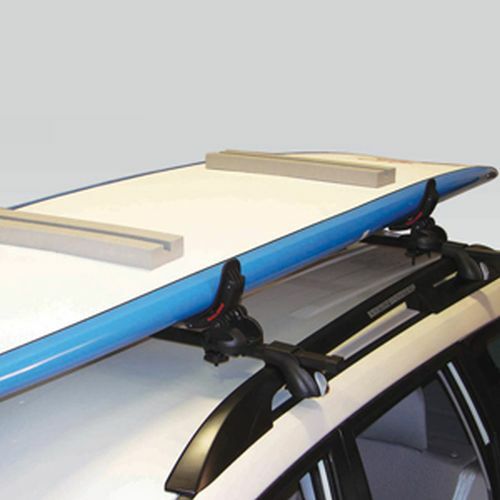 SportRack - Car Roof Rack Kayak, SUP, Surfboard, Windsurfer Racks and Carriers are ideal for transporting your boats to the waterways. SportRack currently offers 3 unique options. The SportRack Mooring sr5511 is a one piece, economical j-style carrier that does not fold down. The SportRack Mooring Deluxe sr5513 folds down for better garage and low overhead clearance. The SportRack Mooring 4-in-1 sr5514 folds into 4 different positions to accommodate both kayaks and SUPs. All 3 SportRack Water Sport Carriers include tie-down straps, bow/stern tie-downs and universal mounting hardware designed to fit most name brand and factory installed crossbars. Thule Stand Up Paddle Board Racks and SUP Carriers are in stock and on sale at RackWarehouse.com. 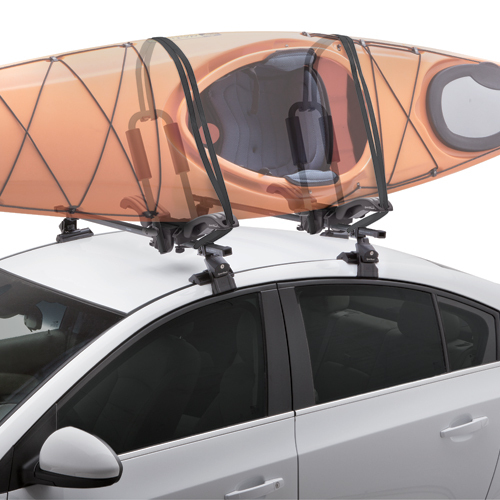 Popular Thule SUP Racks and Carriers like the Thule 810 SUP Taxi, Thule 811 SUP Shuttle, Thule 839 Get-a-Grip, Thule Rack Pads, and Thule Locking Cargo Straps with Steel Inner Cables are available for immediate shipping. 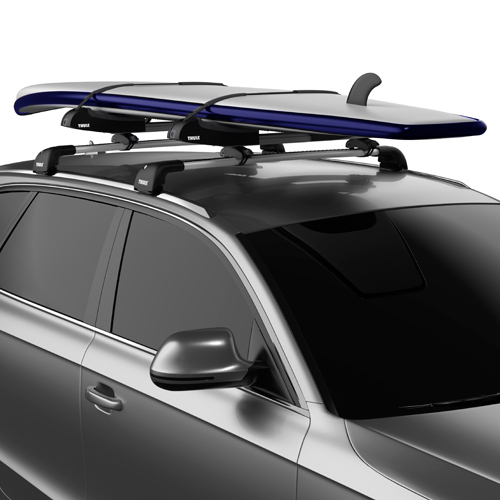 Thule SUP Racks and Carriers cradle, fasten, protect and secure your boards, paddles, and other gear to your roof rack. Roof racks are required to anchor each carrier to your vehicle.